The beauty of processing RAW files is that every setting is plastic and reversible. However, the initial conversion parameters set the baseline for exposure, contrast, and color rendition and differ with each RAW converter application. One thing that Nikon photographers point out is that they like their default (starting point) conversion to match the “as-shot” look (as viewed on the back of their camera) as closely as possible. This makes sense. If you like the look of Nikon’s Picture Control “Standard,” then it’s very convenient to see the initial image rendered this way when you open the RAW file. After that initial conversion, you can do whatever you want to process your image. Unlike in 2005, when Nikon and Adobe appeared to be engaged in some kind of arms race, it’s clear that the two companies are working together closely. First, new camera support is usually available in ACR/Lightroom very shortly after a new model is released. I think I had to wait about two or three weeks to see the Nikon 1 V2 supported by Lightroom. Second, and probably most importantly, is that Adobe started offering camera-specific “Profiles” within Lightroom (and ACR). Camera Profiles in Lightroom/ACR set the default conversion parameters (color, contrast, etc.) The default is something called “Adobe Standard,” which I don’t particularly like. For some reason, it renders NEFs with a slightly greenish tint in skies. If you were simply judging conversions based on this parameter, you’d probably like the Capture NX2 version better. Moreover, trying to manually adjust the Camera Calibration settings in Lightroom isn’t something I find enjoyable. 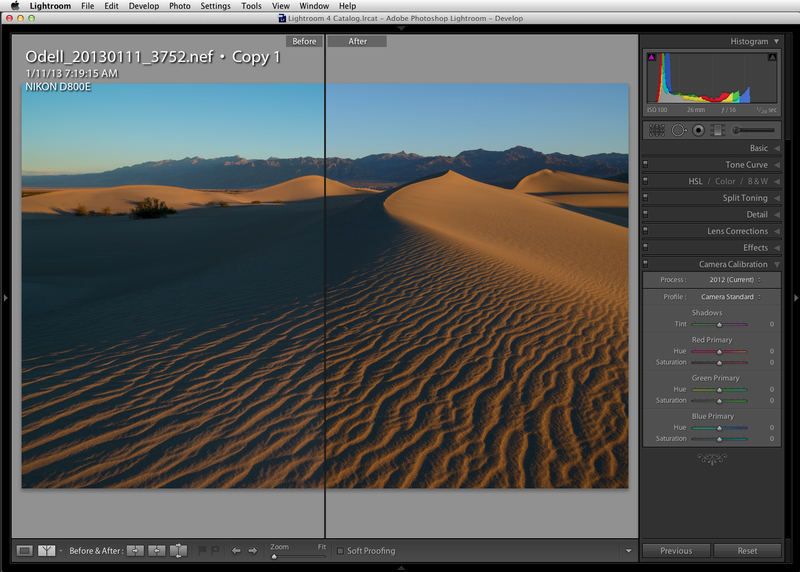 Adobe Standard (left) renders images differently than Camera Standard (right). I made the switch from NX2 to LR almost 2.5 years ago. No regrets. I really like LR, and it is so much faster than NX2. The only thing I miss is that LR’s local adjustment brushes are no match for NX2 control points. Thank you Dr. Odell for your sharing of this information, I also shoot Nikon (D70s) as a hobbyist/advanced photographer and recently discovered the advantages of Lightroom 4 when it was released/updated by Adobe. I am discovering new options and better picture quality in LR 4 than in NX2, I feel as though Nikon as lost focus on improving their product NX2 and the customer is being left out. I agree in that it may be better to move on to new technology and reap the benefits provided in such advancements. Thank you for your inspiration and willingness to share and educate others through your gift in photography. Great blog entry. I was just looking at setting import preset for lens and now I’ll add this to the mix as well. Having run LR since mid-2010, I find I really like and the options to integrate with other software such as OnOne’s Perfect Suite. My next big decision is do I go for the change to the Adobe DNG native format or keep the pictures in the NEF format. With a D800, the files are at the 40 Meg boundary and so take up lots of space. Reading a couple of other blogs it is an option with smaller files. There are some downsides, like not going back to the original NEF file but space can become a factor. The main advantage of DNG format is that it is the only one in which Adobe products will write embedded XMP/IPTC metadata. The other (albeit small) advantage is that DNGs are theoretically more “universal,” but again, remember that if you open a DNG file in a different RAW converter, you’ll still get a different result from that converter. DNGs can also contain a preview JPEG (or not, depending on your settings), so they can save some space. Jason, the last sentence of your post is important to me. As a LightRoom user, I can use exactly the same workflow to process raw images from my Nikon D300, Nikon D5100, Canon S95, and Canon SX50. And if I had the money, I wouldn’t hesitate to add a Fuji X100 or an Olympus OM-D to the mix. Nikon makes great products, but they don’t make the best camera for every purpose. Jason, you’ve done a good job of digging into Lightroom and finding the options for picture styles and that’s a very good thing for Nikon users. First, as for IPTC metadata. Aperture WILL write IPTC data into an NEFs. I do it all the time. You just go to the Metadata menu and go down to the command “Write IPTC Metadata to Original” and Aperture sticks all in the NEF file. So then if you open your files in Photo Mechanic (or any other program) the IPTC data is all there. Really quite simple. I’ve got nothing against Lightroom. But I find Aperture to suit my needs better. One of the reasons is that I need a program that can do heavy lifting when it comes to cataloging. My Aperture library has over 500,000 in it. That’s in one library. I have a friend who has 2.5 million files in one Aperture library! That’s important to me. (Might not be to everyone.) But Aperture is a robust cataloging program and that matters to professionals who do a lot of work. Thanks for letting me put in my two bits. 6) a single non-destructive file system via NEFs: it’s fantastic to have the raw data, active adjustment steps, unlimited versions and final rendering all in a single, easy to back up or transfer neat file. No matter how much I tried I couldn’t get used to messy sidecars or closed, autocratic file systems. Jason, I converted from Capture NX to Aperture some time ago for some of the reasons you mention around managing your image library. I have used both Aperture and Lightroom, but prefer the user interface in Aperture. In your comparison of Aperture and Lightroom you mentioned that Aperture stores the images in the Library where it is more difficult to browse the image with other software. If you used reference files with Aperture, the ability to browse images with other software just as with Lightroom. Thank you for sharing your information! Great post. I’m a Nikon D3 shooter and every now and then I try to use LR4 or A3. Maybe it’s the D3 nef file, but the results comparing like you did (LR4/CNX2), well I get totally different rendering results. Again, maybe only D3 files are a way off in LR4? Any thoughts? You make some good points, and I wish LR4 had internalized Control Points as a selection tool. However, other than ADL, I’m actually finding that LR4 does a much better job of RAW conversions, because it’s local tools (Brush, Gradient) have access to the RAW data and can be used to modify multiple parameters simultaneously. None of the “Adjustments” settings in CNX2 work on RAW data, even though they are indeed stored as instruction sets. For example, you can make local exposure adjustments directly in LR4 that would otherwise require “double-processing” of a NEF file with blending in Photoshop. Color Aberration removal is just fine in LR, and automatic when there is a lens profile (most Nikkors are covered). I agree that there should be a global moire’ tool, and CNX2 definitely offers a good axial CA tool which others don’t. My only beef with versions is that while they are stored inside a NEF (good) there is no way to actively manage/change versions from outside CNX2. That can be a hassle. The “Virtual Copy” feature in LR is IMO even better than CNX2 versions, even though the data aren’t stored inside the actual NEF. The sharpening tools in LR4 are superior for capture sharpening. They just don’t create halos. NR is fundamentally better, too (although the latest version of CNX2 has a new NR algorithm, but it’s only usable globally via Develop. Local sharpening in LR is OK, but I’d like to see Adobe improve the available options. If you’re trying to match as-shot JPEGs, then no doubt CNX2 is the way to go! I need to dive into Aperture more I guess. Perhaps the metadata commands were just hidden to me! I really wish Aperture added in some kind of lens profile option for automatic corrections. I did like the fact that D4/D800 compatibility was a free update to Aperture 3! Try setting the Camera Calibration in LR4 to “Standard v4” and they ought to look darn close. I did some testing with “Standard v4” and yes, you are right! Pretty close, maybe highlights in CNX2 are better. Thanks again for your advice. Thanks for the feedback, Jason. Cool about the double processing (I’d like to have it in CNX2), and I definitely miss some sort of deconvolution capture sharpening – I have to ‘Open With’ Topaz InFocus when I feel the need for it. On local adjustments though, I am not a fan of ACR/LR’s brush in auto mode: I find that it doesn’t do a satisfactory job exactly where I need it most: sharp transitions from mountain to sky, for instance. So I totally agree that LR4 with built-in selection points and ADL rendering would go a long way to sway me. That would leave the non-destructive, edit list, change it any time, versions, single package,do whatever you want with it NEF – as a challenge. I use three computers that each become the ‘main’ computer at different times of the year. They are all synced through a portable drive and backed up to a network drive in only one of the locations. How would LR4 deal with that? Set the LR4 brush to 100% flow and 100% density. Use a large brush and turn on auto-masking. Then, when painting, you can be pretty sloppy as long as you don’t allow the (+) icon on the center of the brush touch anything but sky. I showed this in my online class last weekend and it worked really quite well. Great little essay on the topic. I got the impression the evolution was going to happen. Regarding the Control Points in CNX versus Lr Logal Adjustment Brushes; isn’t that solved by using Viveza from within the Lightroom Develop steps in the RAW processing? I have Capture NX2 and Photoshop CS6 and use ACR (Adobe Camera RAW) to process all my D700 NEF files. Adobe’s latest upgrade to the RAW converter (PV2012) for Lightroom 4 and Photoshop CS6 allows me to get better results than PV2010 – allows some images to appear to have more dynamic range. You did not mention the flexibility you have with camera profiles in Lightroom and ACR when using the DNG Profile Editor to generate custom camera profiles. I have modified the Camera profiles to get better skin tones and Reds, something that is not available in Capture NX2. I think it would be possible for someone to generate software that reads the in camera settings from the nef file and generates an xmp file that when used would open with the image looking like the jpg from the camera. It could automatically select the correct Camera profile, and should be able to duplicate the adjustments you can make in the camera for sharpness, contrast, saturation, and hue. Any comments on this? Good points, Robert. While I’m sure it would be possible for a company to read embedded camera settings and adjust profiles accordingly, it’s not something that anyone appears willing to take on. For the most part, I have my default camera profile set as “Camera Standard,” which delivers decent images out of the box. Jason, thanks for this posting. But the shown examples above are not really representative for comparing the differently RAW interpretation between CNX 2 and LR 4. 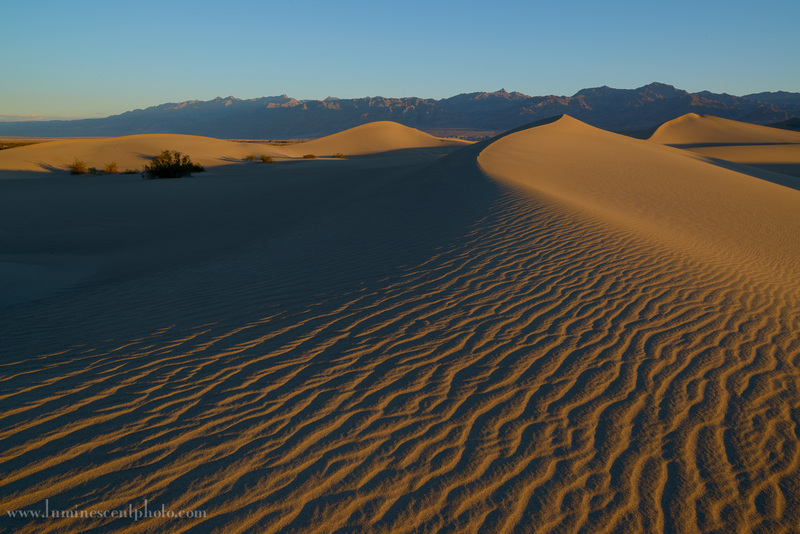 You are right, in some cases the differents are marginal, like by some portraits or dunes ;). I have some landscapes and other images where i get really different results. I am using CNX 2.7.4 and LR 4.4.
i have stopped working with nx2 few years ago because nx2 became too slow and the file browser was viewnx2 poorly integrated. export to photoshop was not so easy as well as running different external plugin (by memory you can specify only one external editor). photomechanic is expensive for a file browser so i migrated to lightroom4 but purchased all nik plugins. the tools i prefer in lr4 are easy white balance (multiclic), auto correction (have you noticed how the auto is working nice ! moreover you can retouch each slider and find the guilty if the auto is not perfect while with nx2 is very limited pass/fail) and input capture sharpening with masking slider. in jason’s nx2 tutos he often added warmt upoint to a mountain,… i couldn’t do with lr but now we have local warmth brush. I hate perfect brush for local adjustments, i am a big fan of u-points. a nice improvement would be to update viveza to nx2 by adding blending modes, brush, radial and linear gradient and a retoush brush. viveza is very limited and its luminosity upoints,… are lacking in cep4. after many years of waiting nik is moving and creates… a unique installer instead of improving the plugins. I have told them i am really disapointed. I am a longterm user of CNX2 and reader of your guidebook to CNX2. Unfortunately, CNX2 crashes more often than it is working, so I am considering switching to LR5 when it will be released. From your report, one may assume that you (almost) quit using CNX2 and switched to LR definitely. Is this assumption correct and also that one should not wait for a futur development of CNX2 to CNX3? – Nikon continues to support the software and update it for new camera models. – Capture NX2 was released in 2008. – It is now 2013 and CNX3 has yet to appear. Adobe Camera Raw (ACR) and Lightroom offer camera profiles that match Nikon’s Picture Controls almost perfectly. If you liked “Standard” or “Portrait”, you can get that look in LR/ACR. Other than the lack of Control Points, LR4 is far more useful as a RAW processor than CNX2 in most (not all) situations. CNX2 still offers better WB settings for things like Infrared (IR) images (something most of us don’t do). Add in the fact that LR is also a good image management solution (Catalog/Database), and it’s hard not to make the switch at some point. – I do not agree with you: using the camera profile is not enough of a starting point for your NEF, sometimes it is, most of the times it is not. So: when I only have a couple of files I want to edit and they are shot in low iso, I go with CNX, for everything else – for work – I go with Lightroom. Hi Jason, I have stopped using NX2 a while ago, using only LR5 for similar reasons as you mentioned. I have recently taken a lot of portrait photos, and compared the LR5 and NX2 renditions. The skin tones are visibly more natural in NX2 than LR5 on my normal settings. I struggled to create a preset in LR that matches NX2’s look but failed. I ended up taking the long route: convert to TIFF or JPEG in NX2 and then import into LR. I do not notice this difference on landscapes, as you point in your OP. Have you compared portraits (skin tones) and is LR good enough for you? Have you tried using the Camera Calibration settings in LR? Other than VERY slight differences in contrast, I find they do a very good job of matching Nikon’s Picture Controls in NX2. I currently use a custom profile that I created using a ColorChecker Passport card. It has better blue tones than Nikon’s Picture Controls. I have been using NX2 to edit Nikon Raw files. If I switch to Lightroom and imported those edited nef files, would Lightroom recognize only the original version and not edited versions? That is correct. This is the case with all raw converters. Edits made in one product will not be read in another one. Hi Jason, this is a very interesting discussion… Would you mind pointing me in the right direction? I have a Nikon D7100, which allows me to save either JPG and NEF format. I use Aperture, NX2 and CS6. I would like to try ACR… Do I really need to purchase LR? I’d like to stay with Aperture if possible. I never used Bridge so far, but I suppose I could use ACR only with DNG… I downloaded a DNG converter, but had little success turning a few NEF into something that would be suitable fro ACR. As you can tell, I’m pretty confused, but I’d like to apply the appropriate workflow and start on the right foot… Thank you in advance! Chris, in Panama. You do not need to convert your NEF files to DNG to read them in Camera Raw or Lightroom. It should read them natively. I do not recommend using Capture NX2 at all anymore, as Nikon is ending all support for it over the summer. As you have swithched to LR, waht do you do with your NEF files processed by NX2? Most of them just went right into LR. Anything of critical importance I convert to TIFF and import that to LR, too. Question: Is there an way to adjust colors in Nikon raw images to match Canon’s warmer, less contrasty colors? You can create custom calibrations in Lightroom/ACR or use a different camera profile, such as Adobe Standard. Which basically means, you use LR so you can profit from using it! I switched to LR because it suited my workflow needs. One could make the argument that professional photographers profit from using all their software and camera gear. Nothing new there. It is something I wished to find in my never-ending fight for the tailored workflow. Another step forward the choice of just-one tool. Thank you. 1: When you create custom profiles for the Nikon cameras, especially for landscapes, do you create multiple profiles for different lighting conditions or do you create one with most used camera settings and tweak from there? 2: How close do your custom profiles get to NX2 results? My custom profiles are created with a color checker Passport card. I usually try to do both daylight and incandescent WB for a custom profile. However, the “Nikon” profiles are included with Lightroom and will depend on your camera model. These are extremely close to what you’d get from NX2… to the point where it isn’t an issue for me at all. Do you use the same pre-sharpening formula (High Pass, Radius 1 px./overlay at 85%, and USM 100%/Radius 1 px./Thres. 5), on the new D810, as you (and I) have been, on the D800E? Nikon USA is checking into this, and sending a “System Summary”, to Japan; however, so far, no help! I no longer use Capture NX products as I have moved to using Lightroom for my personal workflow. Because Capture NX2 and NXD are not compatible, I decided to move in another direction.